Gardai would “not peek” if an editor claiming journalistic privilege over his seized phone unlocked it so that his personal and business data on it could be downloaded, the High Court heard. However, Roscommon-based “Democrat” newspaper editor, Emmett Corcoran, would not agree to such an approach to him getting access to the data quite apart from the assumption in such a proposal that the journalist “came down in the last shower”, his barrister Morgan Shelley said. Mr Shelley was giving the court an update on a proceedings by his client against the Garda Commissioner and DPP after Mr Corcoran had to hand his phone over to gardai when arrived at his Strokestown home last week with a search warrant. 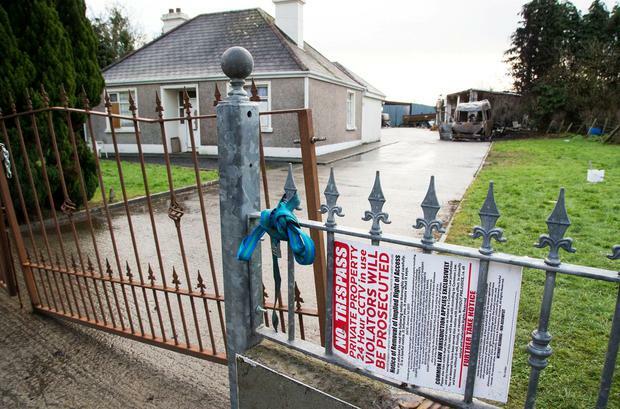 They were investigating an incident in Strokestown last December when a number of vehicles were set on fire in the wake of an incident in which a house was repossessed. Mr Corcoran was one of the first people on the scene and recorded video footage of the incident which was circulated online. He said he decided to hand the phone over after gardai threatened to search his home, his grandparents home and his office in Strokestown. Shortly after the Strokestown arson incident, gardai asked him who had tipped him off about the fire but he refused to identify his source claiming journalistic privilege. He obtained an injunction later that day preventing the gardai from going through his phone data and the case was adjourned after the gardai agreed not to access the phone pending further order but the phone would remain in their possession. The court heard Mr Corcoran was looking for his phone back because it effectively held his “office”, as well as personal information. Gardai agreed to look at whether his data could be downloaded and given to Mr Corcoran while they still held the phone. When the case returned before Mr Justice Seamus Noonan on Friday, Mr Shelley, for Mr Corcoran, said the access to data matter had been canvassed with the gardai, but “the response was it would be facilitated if he unlocks the phone”. Gardai said they would then extract the information, keep it in safe form and give a copy to Mr Corcoran. Mr Shelley said “aside from the assumption he (Corcoran) had come down in the last shower”, this was not acceptable to his client. Mr Justice Noonan remarked “so they will not peek at it”. Mr Shelley said his side believed they could be facilitated by having the data downloaded by an independent third party. Frank Callanan SC, for the Garda Commissioner, said it was a matter of “chain of custody” of the phone and was not a straightforward as was being suggested. His client was prepared to continue the undertaking not to go through the phone until the case comes back on an agreed date between the parties. Mr Justice Noonan adjourned it to May 7.